OMAHA, Neb. 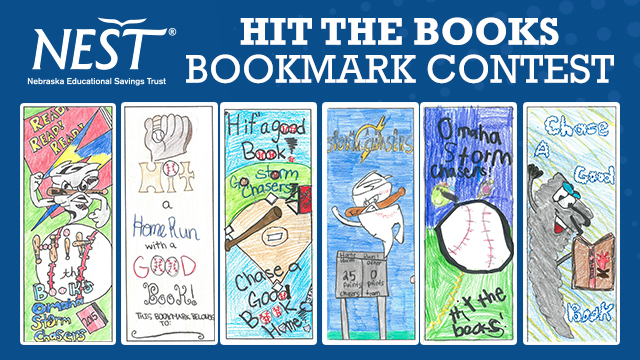 - The highlight of the Storm Chasers "Hit The Books" Literacy Program, the 2015 Bookmark Contest Winners have been announced out of more than 10,000 submissions. This year's "Hit The Books" Program saw the most schools participating in its history at 52, reaching 16,583 students. The "Hit The Books" literacy program, presented by Nebraska Educational Savings Trust, has encouraged area elementary students that reading is an essential skill to have since 2007. Teachers at each school determine four different reading goals for the program. Students who "round the bases" receive four different prizes, including the grand prize of a ticket to a 2015 Storm Chasers game. The announcement/presentation for the overall Bookmark Contest winner is planned for February 4.